Before he was a major league baseball superstar, before he played baseball at Illinois Central College, before he was an all-conference basketball and baseball star at Bartonville Limestone High School, Jim was achieving success at the IESA level. 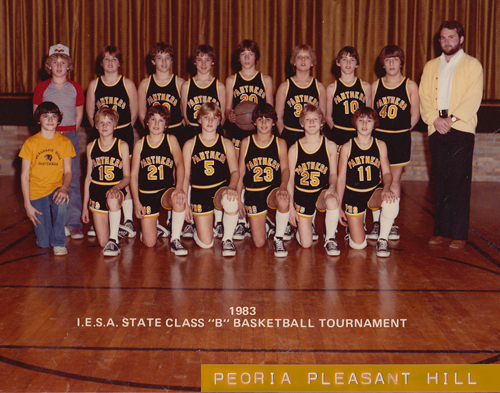 Jim attended Peoria Pleasant Hill Grade School and his 1983 Class B (Lightweight) team advanced to the IESA basketball finals. He led the Panthers in scoring in the two games his team played in the finals. Pleasant Hill defeated Newman, 43-32 in the first round and Jim poured in a team high 15 points in that game. Their quarterfinal game was against Casey and the Panthers lost to the eventual runner-up by a score of 39-23. 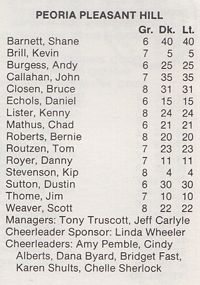 Jim had a game high 10 points in that contest. IESA is proud to be a small part of his career and we are honored and hope that the opportunities we provide for all students in our member schools help to lead them to success in their chosen field. 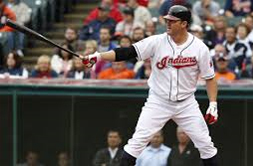 While not everyone will achieve the success Jim Thome has achieved, we do want to recognize Jim for this tremendous honor and glad that IESA can claim he got his competitive athletic start at our level with one of our member schools.